MERRY CHRISTMAS!! Let us enjoy this season of Advent and take time to be in the moment, to treasure the reason for the season and share the joy through our words and actions with all of those we encounter. One of my most favorite things about the Christmas season is the music. I love singing the old familiar favorites in church and listening to our choir share with us as well. I also hope many of you will join us for the Community Christmas sing following the Village Christmas Walk, 7:00 p.m. on December 1st. Come bring your friends and neighbors for a half hour of singing, you will certainly leave with a smile! Keep your eyes open and soon you will see some exciting changes at Union Church. The Trustees are in the process of updating the lighting throughout the church with the help of a grant. The 50 year old lighting will soon be replaced with brighter more efficient fixtures and bulbs all for about half of what it might have cost. And with the use of some of our memorial funds we will be replacing our 50 year old tables and chairs in the Fellowship Hall with new white plastic ones. Both of these changes will be very needed upgrades—Yay!! Thanks to all who are making these changes happen. 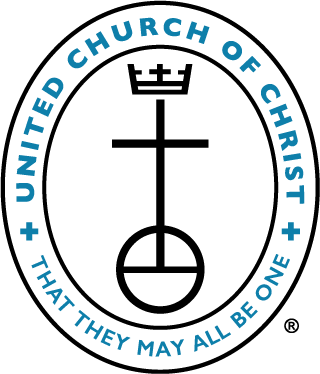 Union Church has held an annual Cookie Walk for over 30 years, this year it will be held on December 15. It always amazes me how many wonderful cookies come out of our kitchens. We have some truly special bakers in our congregation. Some of you may not have had the time or opportunity to contribute to this event in years past. We hope that this year you might find the time to make one or two batches of cookies or as many as you would like. These cookies can be as fancy or as simple as you choose because our customers buy everything from the simplest chocolate chip cookie to fancy sugar cookies, and don’t forget the candy! I can’t wait to see what we get this year and thanks to all of our bakers! We are currently having our Stuff-A-Pew food collection for the Food Pantry. The food we collect will help to fill the 100 baskets given to families in need right here in the Brimfield area. The baskets consist of the food we collect as well as items such as chicken, hamburger, hams and other fresh items that must be purchased. On December 2 we will have a special collection for the Food Pantry to help offset the cost of all of the fresh items in the basket. Your generosity will help many families have a brighter Christmas this year—thanks to all for sharing!